Approximately 40% of Beaches of South Walton’s 56,000 acres is owned by the State of Florida and thus is protected from future development. That’s an amazing 25,000 acres of untouched property where native wildlife such as deer and fox and endangered species like the Gopher Tortoise and the Red-Cockaded Woodpecker call home. A part of this undeveloped land is within Point Washington State Forest, a 15,180-acre tract purchased by the state in 1992 and one of five state-owned properties found along Beaches of SoWal. During the early nineties, the state acquired a total of 18,000 acres in SoWal, including a large portion of what is now Topsail Hill State Preserve. Other popular attractions for eco-tourists are the Eastern Lake Bike Trail, with its three-loop trail for hiking and mountain biking through virgin forest, and the scenic Cassine Garden Nature Trail that winds through native cypress marshlands. Read more about area parks. The natural communities in SoWal include beach dunes, mesic flatwoods, scrub, scrub flatwoods, depression marshes, wet flatwoods, coastal dune lakes and estuarine marshes. Each of these natural communities is home to an abundance of native animal and plant species. As with most things in nature, the health of all wildlife in Beaches of SoWal is dependent on the health of each of these natural communities. 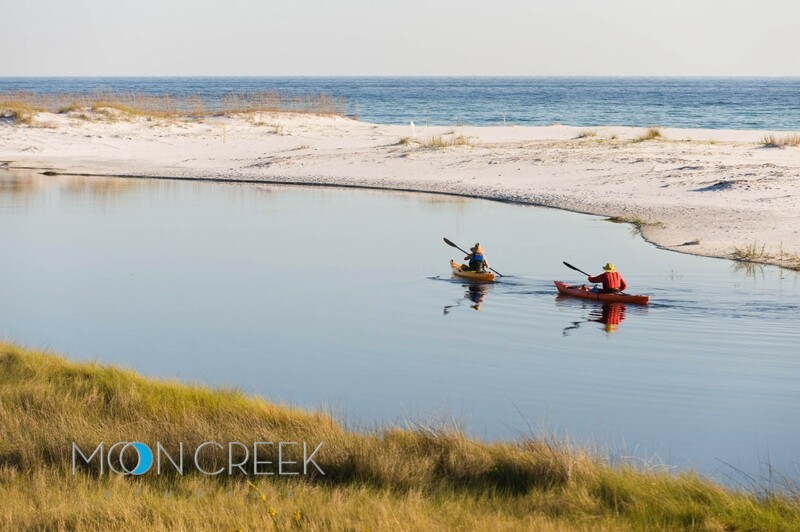 Local environmental groups, such as Beach to Bay Connection, are working with state agencies and Walton County to ensure the continued health of these areas. Beaches of South Walton is home to a number of endangered or threatened animals and plants. In fact, there are five extremely rare plants that are found only in the Panhandle of Florida that can be observed at Topsail Hill State Preserve. They are: the Large-Leafed Jointwood, Godfrey’s Golden Aster, Cruise’s Golden Aster and Gulf Coast Lupine. Threatened animals found in Beaches of South Walton include the American Alligator, Atlantic Loggerhead Sea Turtles, Snowy Plover, Piping Plover, Southeastern Kestrel and Least Tern. Protecting endangered species such as the Loggerhead Sea Turtle and the Green Sea Turtle, nest along SoWal’s beaches from May through August, and are top priority with residents. Volunteers comprise the South Walton Turtle Watch Program, an organization that locates turtle nests, protects them until hatching and, if necessary, helps baby turtles make it safely to the water. Posters, signs and brochures can be found throughout Beaches of South Walton educating residents and visitors on ways to protect our native wildlife and vegetation. The South Walton Conservation and Development Trust, composed of a 12-member panel, was established by the State Legislature in 1994 and charged with preparing an overall environmental survey of South Walton’s 56,000 acres and recommending development plans that will economically and environmentally enhance Beaches of South Walton. This 18-month process, which included an immense amount of public input, produced a blueprint for thoughtful future development until 2025. Subsequently, Walton County has adopted a Comprehensive Plan for future development. This plan includes striking a balance between ongoing growth and development, and careful preservation of the natural resources that make Beaches of SoWal an appealing destination to visitors who enjoy a natural, unspoiled beach environment. Components of the Comprehensive Plan include stringent building codes, which were put to the test during 1995’s Hurricane Opal. Thanks to the fact that most of south Walton’s development is new, the code-compliant structures along our shoreline were spared. In addition, sea oat plantings and other restorative measures helped the area bounce back quickly after the storm.